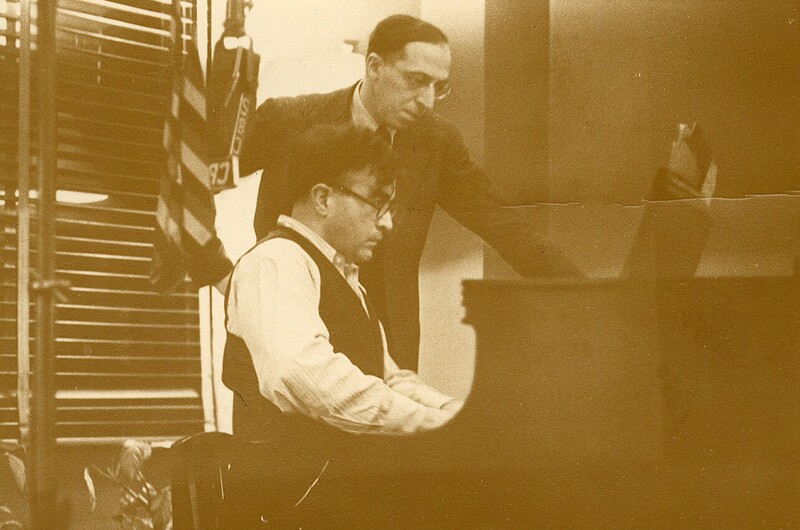 Aaron Copland (back) and Carlos Chavez (front). 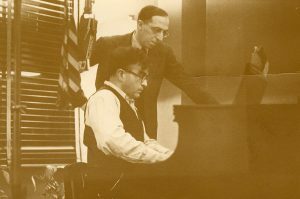 Aaron Copland and Carlos Chávez have an odd relationship, most notably in the similarities with their education and career paths. Robert L. Parker states in his article Copland and Chávez: Brothers-in-Arms, “there is no logical reason why their careers should have been so alike,”1 however alike they were and because of those similarities it seems they became each others best friend, at least in their respective music circles. After their initial meeting in the early 1930’s, the two exchanged many letters as well as promoted each others works in their respective countries. It began with Copland through his ten concerts in the Copland-Sessions where Chávez’ works were performed in New York, London, and Paris. Soon after, Chavez accepted a post in Mexico as music director of the Orquesta Sinfónica de México where he was then in the position to return the favor to Copland. From this I was able to conclude on two things. One, that Coplands and Chávez’ musical tastes derive from their sense of “American Music.” (I am using this term to categorize both North and Central American Music) Although they live in two different countries, they both derive their music from folk traditions that are geographically very close to one-another. This likely contributed to their distaste in the aforementioned composers pieces. Two, Chávez makes a very conniving argument on the authenticity of music. So much of our class is trying to define authentic music, understanding that we likely never can. However, when music is composed with respect to the origins of its inspiration, the music belongs to itself, simply and naturally. The physical, educational, or cultural background of the composer is less important when he or she is composing out of respect to their sources. If we can allow of that mindset, then the music begins to define itself, not the composer. 1 Robert L. Parker, Copland and Chávez: Brother-in-Arms (Illinois, University of Illinois Press, 1987), 433. 2 Howard Pollack, Aaron Copland: The Life and Works of an Uncommon Man (New York, Henry Holt and Company, 1999), 222. Parker, Robert L. “Copland and Chávez: Brothers-in-Arms.” American Music 5, no. 4 (1987): 433-44. doi:10.2307/3051451. Pollack, Howard. Aaron Copland : The Life and Work of an Uncommon Man. 1st ed. New York: Henry Holt, 1999.